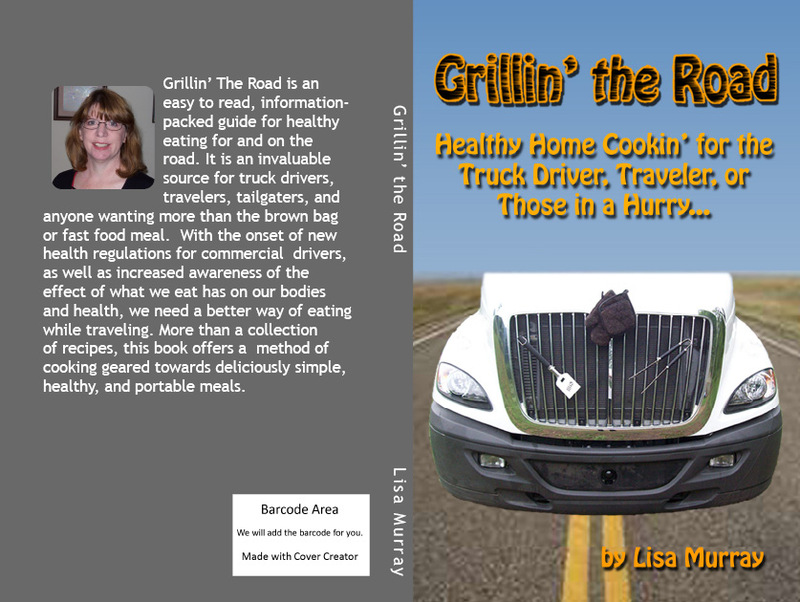 Grillin’ The Road is an easy to read information-packed guide for healthy eating for and on the road. It is an invaluable source for truck drivers, travelers, tailgaters, and anyone wanting more than the brown bag or fast food meal. More than a collection of recipes; this book offers a method of cooking geared towards deliciously simple, healthy, and portable meals. Pictures in recipes, easy, plain speaking and over 40 years experience bring this guide to life; perfect for the seasoned cook and novice alike. You won't find a book like this one anywhere! The main purpose of this book is to get people thinking. Trying to drive truck, with its hectic schedule and thankless, long hours and miles, does not leave drivers, or their supportive families, a lot of time to come up with healthy solutions. With this book, I've compiled tips and tricks that have helped me develop a system that makes it easier to eat and be healthy on the road. It's not "quick and easy". Real cooking, using good, wholesome, healthy foods, requires time and effort. Convenience foods and pre-prepared foods require little time, that's why they were made, but they lack much in nutrition, while giving us additives, preservatives, processed sugars and salts in abundance. There is no way I can cram all my knowledge, findings and experience in one short book. It has to be short enough to provide ready info to those who need it and don't have time to read a great deal. The challenge was to put what is essential, and give a basis for thought into how to prepare meals - for and on the road. Its a starting point, to get people thinking of how they can incorporate their favorite dishes and foods into something they can take with them. Consolidating one's cooking efforts, such as bulk buying when possible, using basic (wholesome, healthy) ingredients, making many meals at once (baking several small meals in the oven), with variations of flavorings and ingredients, then freezing or storing for travel later, make this chore less time consuming. If we really think about it, most of us can find a few hours, one day a week, to prepare a week's or more worth of meals. This book gives you that basis and how to do it. And it covers a multitude of situations - long haul drivers, short haul, travelers, and even preparing for daily lunches for work or meals at home. I won't lie to you, cooking takes time. But it's worth it to set aside a few hours a week to make good healthy meals. I have chosen to include recipes from scratch so that they are healthy, rather than "quick and easy". In other words, if you want healthy, you're going to have to sacrifice a little time to get it, which, I've found, can usually be found if looked for. As I suggested in the book, put your TV in the kitchen so you can watch the news while cooking. Most "quick and easy" are processed foods, which aren't the healthiest. Most people know how to open a box or a can. Taking the time to learn and produce healthy meals is worth the effort. In the long run, it doesn't take much extra time at all. There are many alternatives, but healthy choices can be made for those who want to be healthy. With this book and the ideas presented on this web site, it is my hope you find the healthiest alternative you can for traveling or trucking; from homemade and frozen, to a healthy choice of convenience food. Section 1: The Basics: Information for what you need to cook on or for the road, or just make meals ahead for when you will be too busy to cook. Section 2: Food and Recipes. Here you will find how to prepare convenience as well as home made foods either on or for the road. I’ve included some of my favorite recipes to help you learn how to take a basic recipe and make it into portable, easy to eat meals. Section 3: All Else includes tips for drivers and people traveling, safety information and other helps for cooking and traveling. This blog space was created to support Grillin' the Road and provide extra information and helps for its readers. The information on the website is in addition to the information and recipes in the book. The blog will feature updates, recipes, information, discussions, and other things that may be useful. Comments are welcome, but they are moderated. Derogatory (hateful, inappropriate) comments will not be allowed. 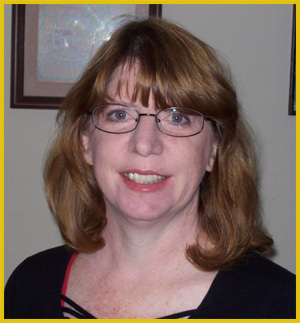 Lisa Murray is a student / mom with a certificate in gourmet cooking, and has been cooking for over 40 years. A former truck driver herself, she is married to a long-time truck driver. She lives with her family in the Nashville, Tennessee area - although originally from California - and enjoys gardening, reading, physics, knitting, historical re-enactments and steampunk, working out and fitness, dancing and cooking, obviously. She is currently a college student studying environmental science. Grillin the Road was written due to all of the questions and requests for how her husband always had such wonderful food to eat while on the road. This second edition includes extra information as available from the web site. Welcome to the revised edition of Grillin’ the Road! The first edition was a smashing success, but there were a few things that needed to be added. These are all found on the web site, so you will not be missing anything if you already purchased the original book. Most of the information is not changed. I’ve added a couple of recipes, revised information on DOT mandates, and cleaned up a bit here and there. This is a book for everyone: truckers, emergency personnel, travelers, tailgaters, families, busy folk with little time to cook, and just anyone who wants to eat good, wholesome meals to make ahead for when you don’t have time to cook. Whether you spend most of your time in your truck, travel trailer, TIPI (yes, this even works for re-enactors, I’ve been there-done that), packed your hatchback as the traveling salesperson or convention goer…. ad nauseum. This is for you. 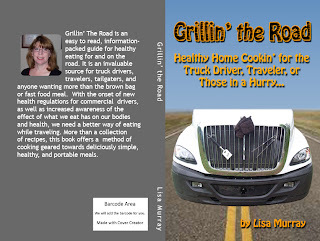 It’s more of a guide than a cookbook, as it has not only great information on cooking for and on the road, but tips on nutrition and exercise, special truck driving tips, and family recipes. I am not a writer, so don’t expect a lot of flowery, fancy words. I just love to cook, and have been cooking for 40 years. I am also not selling anything (other than this book), so there is no hidden agenda here. This book is not simply a collection of recipes or just another cookbook, but a method of cooking geared towards simple, delicious and healthy meals for the one who doesn’t always have time and needs their meals portable; mainly, our illustrious truck driver. Most any recipe can be made small and portable. It is a way of preparing meals in advance, cooking meals on the road using “truck friendly” appliances, and even some handy-dandy trucking tips for the new and even seasoned trucker at the end of this book. You will also find information on being healthy while on the road - healthy habits, as well as food handing and safety. I am not a professional chef. I am neither a nutritionist nor a certified personal trainer nor health coach, though I do hold a professional certificate of gourmet cooking and catering and have been cooking over 40 years. I am not a doctor. What you see here is my opinion based on years of my own research, common sense, tried-and-true experience, and that of my friends and family. I won’t offer you a “happy pill” or a magic-wand way of being healthy or eating well. I won’t recommend medications or supplements, as most don’t work. Supplements, like medicine, can be overdosed and cause more issues. Supplements also won’t undo the damage of bad eating. I have learned, nearly the hard way, the importance of good nutrition and exercise. One of the challenges truckers face is eating right and keeping healthy. Not only for drivers on the road, but other challenges such as preservative allergies and needing to use fresh, healthy and even organic foods. And make it all taste good. And be inexpensive. It is not easy being a truck driver. There are long hours, thankless deliveries and pickups, other drivers exhibiting road rage or simple impatience, and much time spent away from their families. There is much sitting. It’s a very stressful job which leaves very little time for proper nourishment and exercise. Truck stop food gets to be expensive and many times laden with salt, sugar, and fat. Not to mention preservatives. Fast food is not always that healthy as an exclusive diet long term. Another issue trucker drivers face are the changes to the medical examinations and CDL requirements as mandated by the U.S. Department of Transportation Federal Motor Carrier Safety Administration. More on this in the appendix. I won’t lie to you. Cooking takes time and effort. The more complicated the dish, the more time and effort. But it's worth it to set aside a few hours a week to make good healthy meals. There are many alternatives, but healthy choices can be made for those who want to be healthy. With this book and the ideas presented on the web site, it is my hope you find the healthiest alternative you can for traveling or trucking; from homemade and frozen, to a healthy choice of convenience food. I like to keep things simple. I have a few basic ways of cooking, and then modify bits and pieces to make something different. For example: I have one way of baking/roasting chicken. I have many variations and ingredient groups to make something different in each method. It’s basically bulk cooking - making many dishes to freeze or refrigerate - yet not necessarily the same dish. It’s kind of like making your own TV dinner, only far healthier and fresher. It’s bulk buying healthy foods that you can prepare in your truck, and, no, not just a salad or peanut butter sandwiches! This works not only for truckers, but travelers, lunch takers, tailgaters, or anyone else who wants a good, home cooked meal away from home or ready to heat up after a long day. It’s not leftovers, though that works with this method as well. It works for a nice home cooked meal, especially those with a busy schedule and not a lot of time to cook. You don’t have to be a gourmet cook, or even a “good” cook, to prepare healthy meals for the road or on the road. Even if you don’t know how to cook or prepare home-cooked meals, you can do this. I will show how to do simple preparation of meals - from scratch to box or can - and get your wheels rolling on the infinite variety to change each dish. A special thanks to all the friends who offered support, encouragement, advice, suggestions, editing, and in an indirect way, insight, knowledge and wisdom, which has contributed to the making of this book. My mom, Diane Talarico, who taught me how to cook at a young age and had the monstrous chore of cooking for my very large and perpetually hungry dad. My Napoli-born and raised gramma, Abie Talarico (RIP), well known for her excellent Italian cooking. My second mom, Mama Frances Pagan (RIP) and her love of the Puerto Rican cuisine, her native heritage. To my mini-me daughter, Ash, for her unlimited curiosity and love of cooking (girl after my own heart). But, mostly, for my husband, Charlie, aka Wildman, for enduring endless taste tests of my latest creations and never once complaining. It is my hope that you find this collection of information and my own treasured family recipes informative as well as enlightening. Drive safe. Be well. Eat healthy.